New Year’s Eve is upon us and with that, we can expect nothing less than champagne towers and plenty of boozy cocktails to secure a monumental hangover for the morning after. Because what better way to start the new year, right? Maybe not so much. For those who find said scenario less than appealing, there is a fix in sight and it comes in the form of a non-alcoholic cocktail. We know what you’re thinking and we’re here to assure you: these libations are anything but lame. In lieu of resorting to sipping on a sad soda with a twist of lime, there are a slew of booze-free cocktails that can satisfy your taste buds all the same. With that in mind, we scoured the web for the best booze-free cocktails that you can serve or sip on at your holiday fete. Spoiler alert: you might just want to make them all. Strawberries, cucumbers, and simple syrup combine to form this delightfully refreshing concoction that’s sweet and indulgent. While this blackberry-lemon blend calls for club soda, we’re all for subbing in a little LaCroix for some added fizz and flavor. 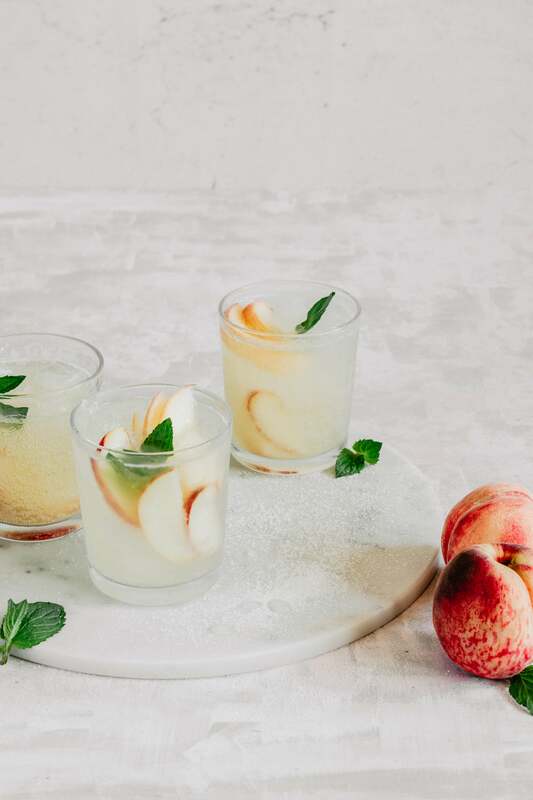 Bold notes of ginger and a refreshing hint of mint elevate this Kombucha-based mocktail, which comes with a sweet touch of peach. Consider this the best use of winter citrus to date. This revitalizing combo is comprised of a medley of ginger, turmeric, and a citrus marinade. With muddled basil and zingy blood orange sparkling soda, you’ll forget this ‘gin and tonic’ is free of… well, gin. We’re firm believers ginger beer (not actual beer, y’all) makes every kind of drink better. Serve them up in chilled copper mugs for a drink that looks alcoholic, but isn’t. Nothing feels more festive than a fizzy drink in a Champagne flute. Mix fresh squeezed orange juice with sparkling grape or apple (and even a dash of grapefruit juice, if you fancy! ).